Summary (from Goodreads): For most adults, the art room is a memory from long-lost childhood school days. Art class probably did not mean much more than smearing crayons and paint onto construction paper-with no real value to an adult who is dealing with the pressures of relationships, careers, finances, and raising a family. Even with these external pressures, the biggest concern adults often face is the spiritual crisis of self-value. We fear unmet ambitions. We fear that our lives have little meaning, purpose, or value. We fear that God has a plan for us, but we're missing it. These fears prevent us from leading the productive, contented, joy-filled lives that God created us to live. And so, the long-forgotten art room actually holds three God-given keys, available to every adult, for living the life we were meant to live. When we entered the art room for the first time as kindergartners, we all instinctively knew some things that we would progressively forget over time and now it's time to learn them all over again. 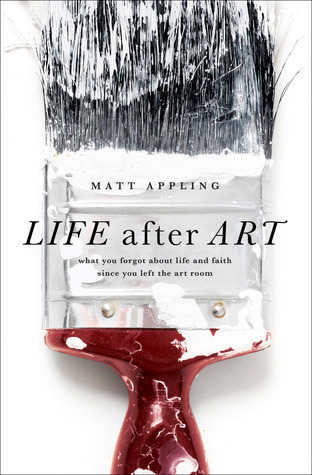 What I Loved: Life After Art is not as much about art and creativity as one might suspect judging by the book cover. This book is more so about how to learn the art of making life beautiful, though it is not an instruction manual. Believe you me, you are going to find yourself immensely challenged and asking yourself a lot of questions about how you can live a more beautiful life after you've closed the cover . . . but you're going to be insanely happy about it. Matt Appling invites us to journey into thought with him, a thought of a time long ago in every person's life. A time when we were that joyful and carefree five year old who wanted nothing more than to create something beautiful to share with the world. It was that time in every young person's life when the most important things to us were our crayola crayons, playing make believe, telling wild stories and singing aloud for the world to hear us, whether we were any good or not. Back then, when we were that bright-eyed five year old, we were as close to what God had intended for us to be as ever. We were the indomitable believers, dreamers and eager beauty-sharers. In the words of the author himself, "This book is about discovering and living in that moment." Somewhere along the way most of us adults lost a bit of that creative wild eyed wonder. We lost that driving indomitable child-like faith in our art, life and dreams. We stopped creating, we learned our base limitations in life, and ultimately we got lazy (or at least I did.) But our adult lives don't have to stay this way forever. We are all capable of creating beautiful lives, lives of which are begging to be shared with the world, because we have been made in the very image of the most beautiful Creator of all. We are the created-to-create ones, whether you are a photographer, painter or writer, etc. We were created to make beauty; that is every child's gift. Now, whether we choose to challenge ourselves and run after that child-like faith or not, that driving force which begs for us to create beauty because it is such a primal desire running within us . . . well, that is our own choice to make, isn't it? And in the wise words of the writer J.R.R. Tolkien, "All we have to decide is what to do with the time that is given us.” Ultimately I think this is what Matt Appling is getting at: use your time wisely to create beauty wherever and whenever you can, and be bold while doing it! Life After Art does not tell us how to live, but rather how to run after that innate desire that has been within us along, that desire which longs to create and share beauty with the world; to live a unique life that will surely leave a legacy. To quote the author once more: "You will be creating for the rest of your life. You might as well do it on purpose." I'm Recommending This Book . . . Honestly, this book is such an eye-opening and thought provoking read and you need to read it! The moment I turned the last page of this book I wanted to open it right back up to page one and start reading it all over again! Needless to say, this book will take up a permanent residence on my bookshelf. If you are a life-artist, or a life-artist wannabe, this book is for you, because you were designed by a beautiful Creator to create beauty with your life. 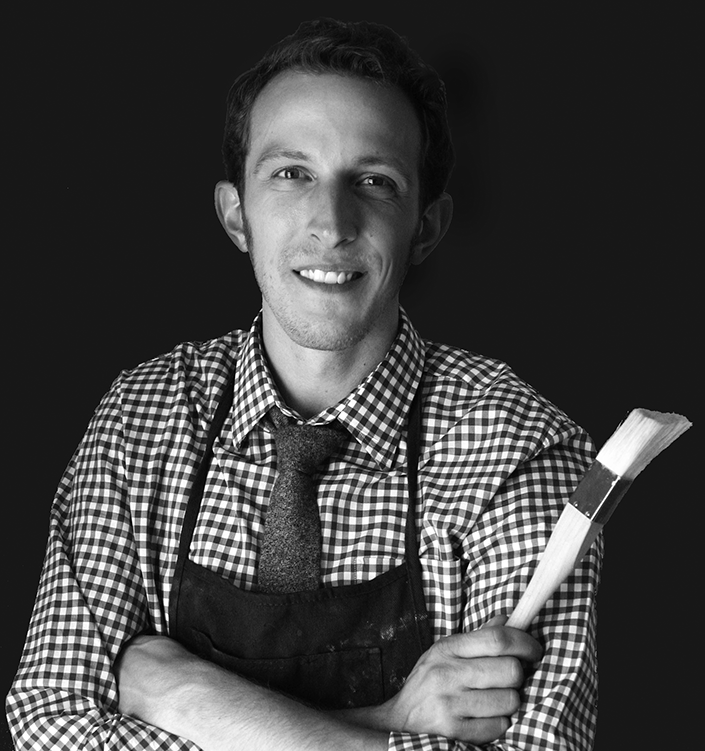 About The Author: MATT APPLING teaches Pre-Kindergarten through sixth grade art, as well as high school art history. He has taught and ministered in a variety of school and church settings. He has also been a popular blogger for four years, as the author of thechurchofnopeople.com, as a syndicated columnist at prodigalmagazine.com, and as a featured contributor to many other online publications. Matt lives with his wife, Cheri in Kansas City, Missouri. * I received a copy of this book for the purpose of a review from the author/moody publishers. The opinions expressed in this review are solely my own. Please be sure to check back on Wednesday for a post including some of my favorite quotes from Life After Art, as well as a book giveaway! This is definitely the kind of book I would like to read. I often struggle with diminishing passions, creativity, and basically, child-like excitement and faith in diverse areas in life. But it's always good to look back once in a while and reflect on how we live in the present. Anyway, thanks for sharing about this book! I hope you'll read the book and let me know what you think, Jemimah. :) You sound like you're in the same boat as most of us. Oh, oh, oh...been wanting to read this book, and now, I want to more! This is a great post, Sarah! I, too, enjoyed the book very much. I've read this line before, but this time it seemed to stick: "You will be creating for the rest of your life. You might as well do it on purpose." We have to be intentional in our creating for our creativity to ever take root and flourish.